A dispute resolution expert says it’s not what we disagree about, it’s how we disagree that matters. Have you ever found yourself at a standoff with a colleague where you just can’t seem to agree on an issue? 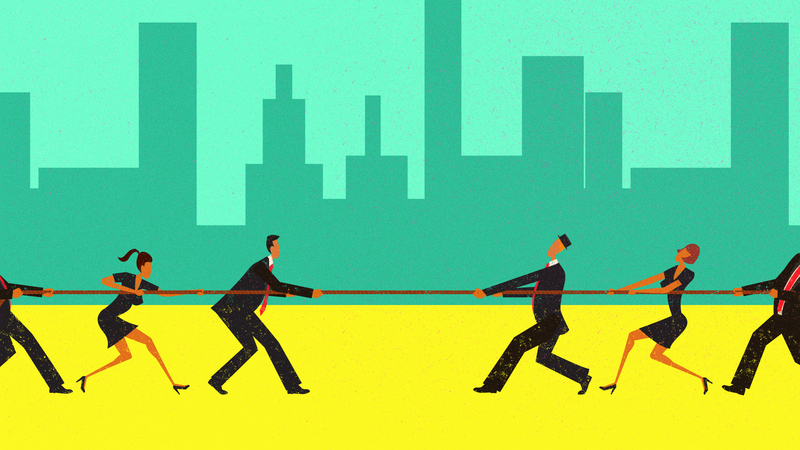 It might not be the actual issue that’s holding you back — it could be your conflict styles. Interpersonal conflicts at work often escalate not because of what people disagree over, but because of how they disagree, Judge Raymond E. Kramer, the director of the Administrative Judicial Institute at the Office of Administrative Trials and Hearings (OATH) in New York City, tells Thrive Global. When people don’t feel heard or feel misunderstood, the conflict skyrockets. The solution? Simply knowing that five core conflict styles exist, and becoming aware of which style you tend to gravitate toward, says Kramer, who regularly leads workshops on conflict resolution. (These five styles originate from the Thomas-Kilmann Conflict Mode Instrument, which was created in the 70s but still holds up today, he says.) “There’s no wrong style. Each has its benefits and disadvantages, depending on the conflict one is in,” Kramer says. Here, Kramer highlights the strengths and weaknesses of each conflict, so you can improve your workplace relationships and triumph over disagreements. A competing style is high on assertiveness and low on cooperativeness, which sounds like it’s full of potential problems, but it can be extremely useful. Take the example of a fire captain. “You’re at the scene and you need to issue some directions immediately,” Judge Kramer says. It’s not a time for collaboration, compromise, and discussion, especially where safety is concerned — it’s a time for one decision maker to take charge. The downside, of course, is that it if you’re always in competition mode, people may start to view you as a bully or jerk, Kramer notes. If it’s your go-to strategy, being aware of it will remind you to put your fists down and make room for your contender’s point of view. This conflict style is low on assertiveness and cooperativeness. “Basically, you’re not dealing,” Kramer notes, “it’s a freeze or fly approach.” It may not seem advantageous, but it actually can be. Maybe you know a difficult employee is about to retire or be transferred so you just let things lie without rocking the boat to sidestep an unnecessary conflict. The difficulties we dodge have a way of festering and multiplying. If you’re a manager and you don’t deal with the ongoing friction between two underlings, it’ll become entrenched and impact the rest of your staff. In that scenario, you need to tackle it head-on — mediate and create a safe space for both parties to clear up their issues, Kramer says. This approach provides a handy way to resolve conflict when you reach an impasse with someone. “You and I both want something,” Kramer says, offering an example. “We don’t see how we can do the win-win, and we don’t have a lot of time to debate it, so we make a decision that’s not ideal, but we can both live with it,” he says. The negative fallout of making constant concessions is that you’ll be viewed as someone who’s always transactional and making deals. “People get tired of that too,” Kramer says. Pick the issues most important to you and don’t give in so quickly. This is the ultimate win-win. “You want something. I want something and we both get what we want,” by negotiating around our interests, Kramer says. This style is high on assertiveness (or outcome) and nurturing toward relationships. The drawback of being a collaborator by nature is that sometimes you just don’t have time to collaborate — you just need to make a swift call, as in the case of first responders. Outcomes take a backseat to relationships in this type’s world. “You want something and I want something, but for me it’s not as big a deal and I care more about our relationship so you can have what you want,” Kramer explains. You may be popular among your co-workers, but inside you may be full of resentment for always ceding to other people’s power. “Not only is it detrimental to your self-esteem, people will start to view you as someone they don’t need to reckon with or think that you don’t care about things,” Kramer warns. Certain pairs, of course, gel better than others, Kramer notes. Take a common combo, a competitor and an accommodator. The snag in this set-up is that by default one is always dominating the other. Alternatively, two competitors can produce creative solutions through their tug of war, but they can also reach an impasse. Knowing which type you are will allow you to deliberately and strategically choose a more effective style. “Good conflict starts with the self,” he says, “Understanding ourselves and how we are in conflict, managing ourselves in conflict, finding ways to communicate more positively and effectively, that’s where a lot of conflict resolution starts,” he says.